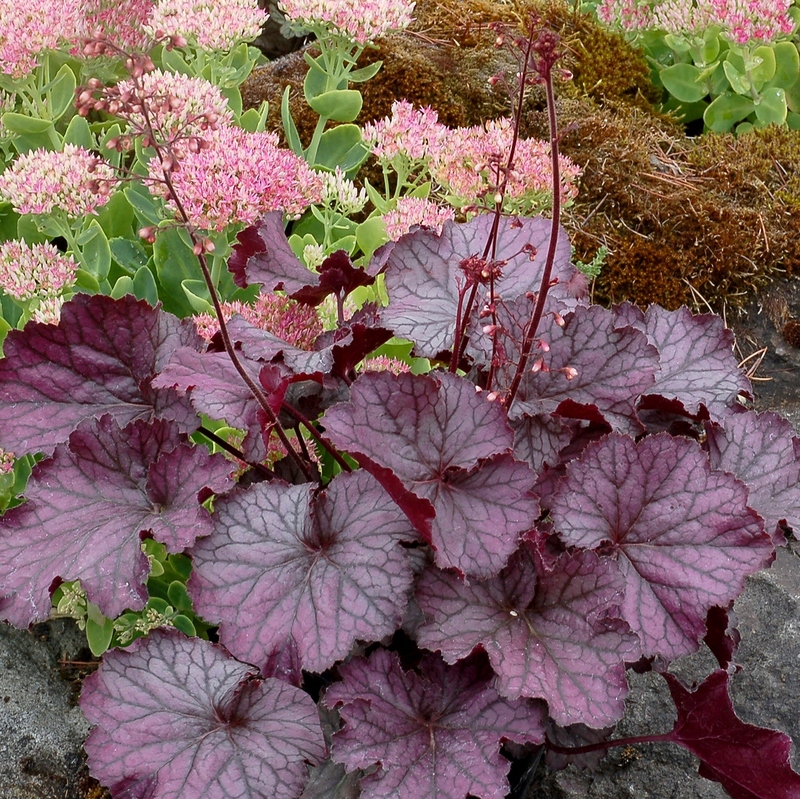 Heuchera 'Northern Exposure Purple'. 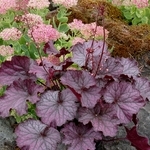 A great landscape plant with round leaves, a good crown, and purple to silver leaves. With hardy H. richardsonii breeding you get greater cold tolerance and good rust resistance. PPAF. 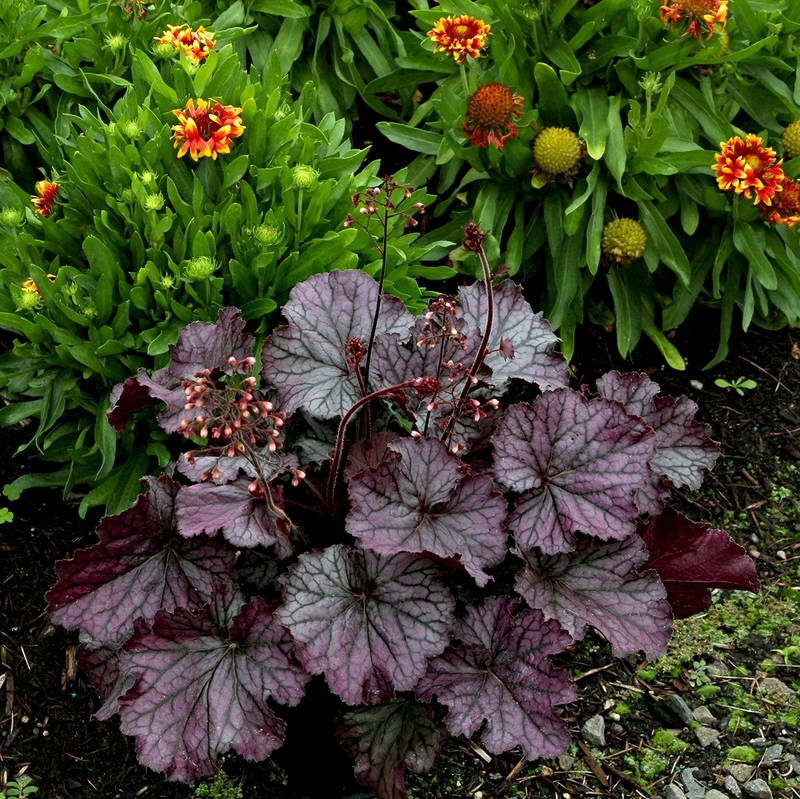 MATURE HEIGHT: Foliage 12". In bloom 25".